Our rustic 2,000 sq. ft. lodge provides ample space to accommodate our guests in many ways such as weekend trips, corporate events, weddings, family groups and reunions. Offering first class accommodations for a corporate or family retreat. The lodge is furnished to sleep up to 20 guests overnight. We service groups ranging up to 100 for daily functions such as reunions, picnics, weddings and business meetings! At Robinson's you're able to socialize with your group in our 2,000 sq. 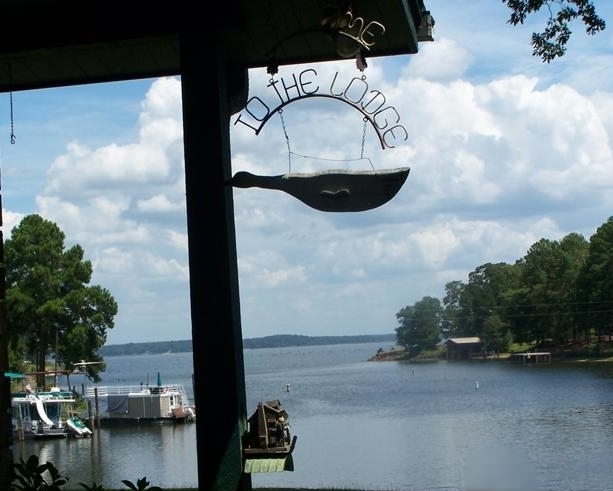 ft. great room, on our spacious porch overlooking the lake, or around the 5 acres of beautifully wooded lakefront property. Prefer to make your reservation via phone? You can make a reservations for lodge accommodations by calling (936) 368-2211 between 8am and 6pm. Call (936) 368-2211 to reserve a room or the entire lodge for your next outdoor trip, reception or party.